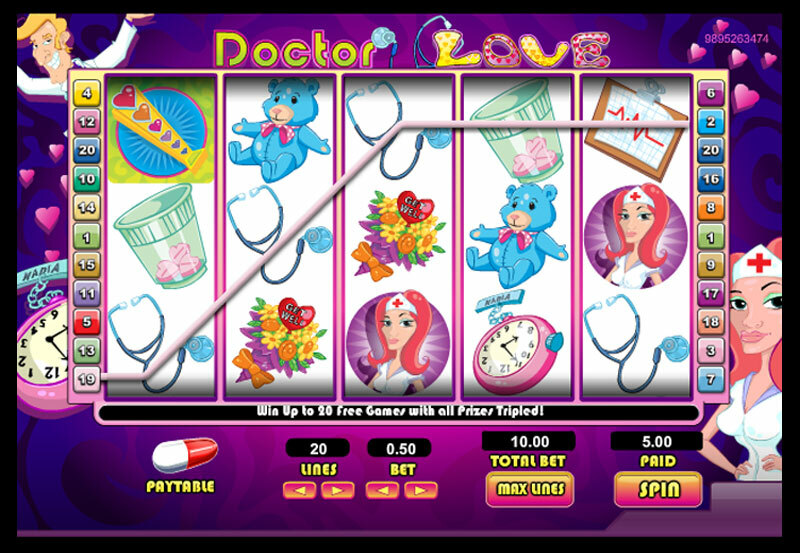 Dr Love is all about stimulating the mind and soul with a range of unorthodox 5 reel slots medicines. This psychedelic doctor is a strong advocate of playing online 5 reels as he believes its stimulating qualities can be an aphrodisiac. It would be a good idea to take the advice of this smarmy quack and win some free spins and multipliers in this online slot, leaving you fully satisfied and healthy as ever with a new unexpected feeling of no longer despising going to the doctors. NextGen Gaming is one of the most respected companies in the online gaming world. They focus in particular on theme and story oriented games and many tops the favourite lists, such as Foxin' Wins and Big Foot. They are applauded for issuing glitch free technology and their innovative bonus features. If you want more information on NextGen gaming you can read more here. Dr Love is that his name or does his dazzling grin say something else. 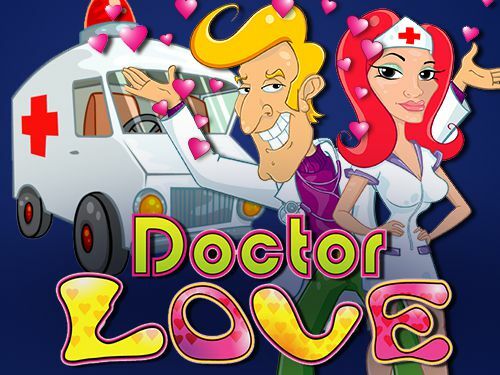 NextGen has taken the healing ways of the doc and his romancing ways and put them together resulting in a cheerful online scratcher aptly titled, Dr Love. The snazzy pink and purple background bring a seventies retro feel to it. The game panel consists of nine squares, each concealing a symbol that when matched with two similar symbols creates a winning combo. Covering the tiles is an image of our smarmy Doc and his nurse. The idea, as usual, is very simple, just scratch away each tile to reveal the symbol beneath and match up three of them for various prize jackpots. You can do this one tile at a time, as with traditional paper scratchers, or click the ‘reveal all' button. You can also put this on auto. Bets are set with a slider and begin at 0.01 up to a maximum £250.00. The symbols include A teddy bear, Dr Love, an ambulance, a nurse, a bunch of flowers, a nurses fob watch and a hearts symbol. Each come with their own jackpot wins. 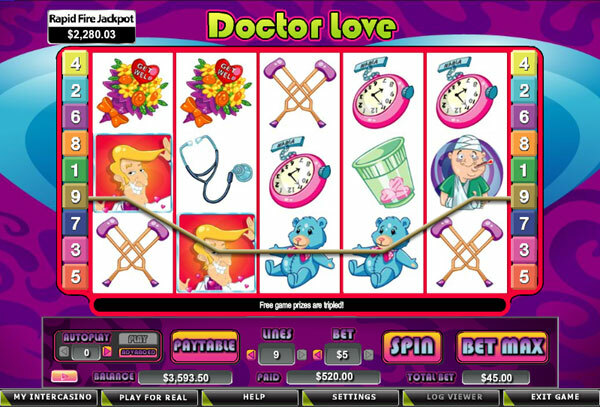 Match three Dr Loves and he grants a whopping 1000x multiplier - playing at the highest stake, there is the potential for a 250,000 jackpot. Next, the heart symbol is a 100x, the nurse is 50x and so on, the fob watch being the lowest at 1x. Like the Irish Eyes scratch, also from NextGen, this is a graphically sound game with some pretty starbursts and animated symbols. Easy to play, Dr Love should definitely be on your favourite list. Colourful with the potential for some good wins, Let the Doctor bring you a little lurve and healing. He may look cheesy, but it's all part of the charm of this winning scratcher from NextGen. 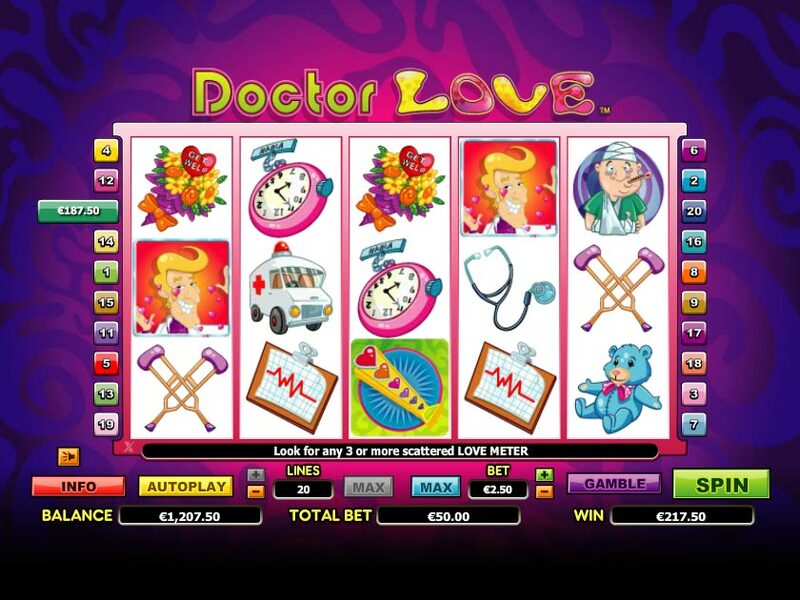 With an attractive bet setting and ease of play, Dr Love should attract a wide audience of players, especially those that like the excitement of huge jackpot wins. If you enjoyed Dr Love you might also like Agent Jane Blonde online slots game or discover more easy slot games Click here.